Crowning Italy’s northern border, the Dolomites are a pristine alpine playground, where vivid green meadows nestle against enormous limestone peaks, and charming rifugi (mountain huts) welcome travelers with hearty food and incredible views. Peaks like the Gavia, Mortirolo, Stelvio, Tre Cime de Lavaredo, Falzarego, and Giau wait to be climbed. 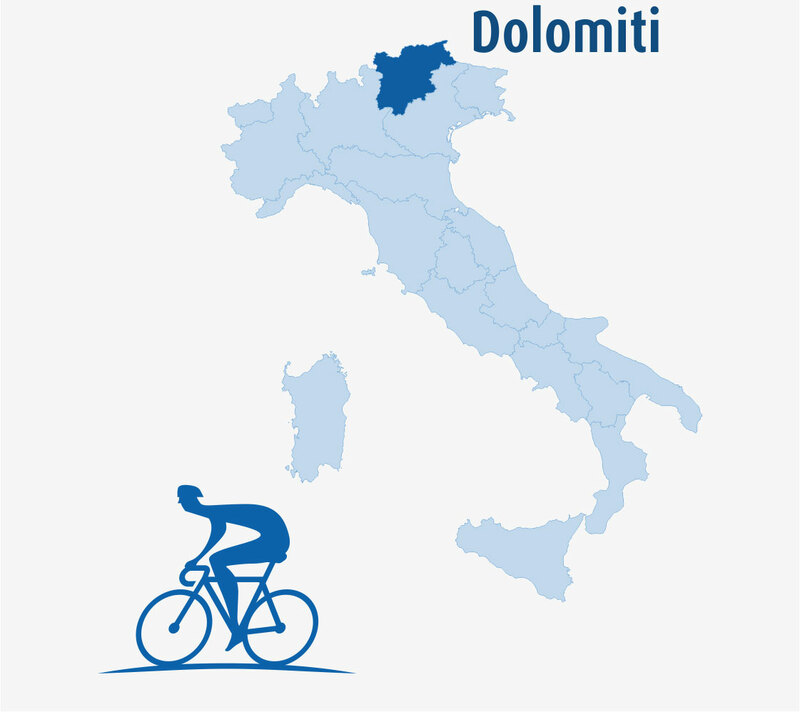 Here countless switchbacks have played the dramatic stage for some of the most exciting moments in bike racing during the Giro d’Italia, offer some of the most rewarding cycling in the world. 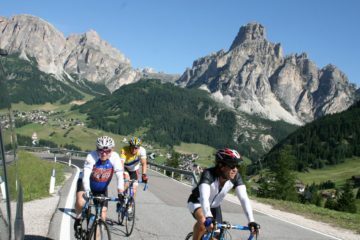 Be our guest for a week of breathtaking biking featuring a delightful blend of Italian and Austrian cultures and food.